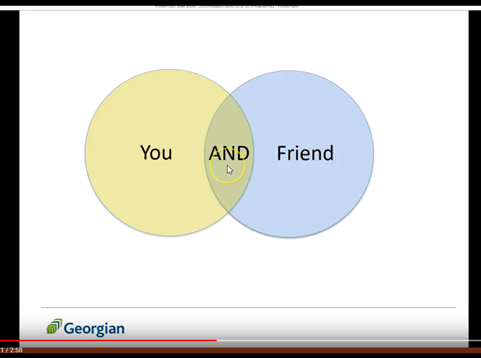 This video helps you discover the main keywords on a research topic. Let's say you've just been given an assignment and this is your topic...plastics. Where do you go from here? How do you start? The first step is to take your topic and develop that into a research question. When a student comes to the research help desk asking me for help on their topic, my first response is, "what more specifically do you want to learn about your topic?" That's because usually, whatever they said to me is way too broad of a topic and it should be narrowed down. This topic can be narrowed by social, political or economic issues. For example, how can consumers reduce their use of plastics? Another way you can narrow your topic is by looking at a specific, population group or location. For example, how do our plastic recyclables impact other countries? You can even relate your topic to another topic such as, what is the effect of plastics polluting our oceans? 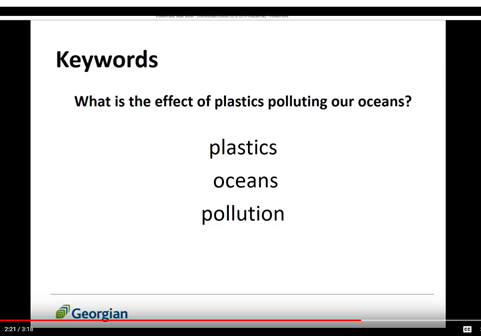 Notice how each of these questions have a much narrower focus than the big topic of plastics. That's what makes good research questions. So let's pick this as our research question...what is the effect of plastics polluting our oceans? Now that we have our manageable research question, let's determine the keywords. Why keywords you may ask? Sometimes I catch students searching the library by typing the whole question or sentence. No. Don't do that. Rather, you need to find the main concepts or ideas in your question. Those keywords can be single words or phrases. So for our question what would the main concepts be? They are: plastics, oceans, pollution. By the way since words like: affect, enable, rate, impact, or advantage, describe a relationship between keywords, they should not be considered good keywords to use. Once you have the main keywords for your topic, sometimes you'll need to find additional keywords to use in your search. This will ensure that you find all of the best, most relevant information for your topic. Determining keywords can be one of the hardest steps in the research process. Fortunately, there are many different ways to come up with alternate keywords. One way is to use a thesaurus to identify alternative terms. Another way is if you have a book on your topic, try skimming the table of contents or read a chapter to identify more keywords that you haven't thought of before. Or quickly glance a website that's on your topic. What terminology do they use? You can also search Google or Wikipedia for ideas but remember that Wikipedia is not considered a credible academic source. But you can certainly use it to brainstorm keywords. Now that we've got our keywords we can now use those words to search the library for resources. This video guides you in using MultiSearch with one of the keywords you discovered from the last video. The library has many databases to support your assignments. Most of which can be searched simultaneously from the MultiSearch box located on the library's homepage. You can search for books, e-books, video recordings, academic journals, and multiple article databases that we subscribe to. 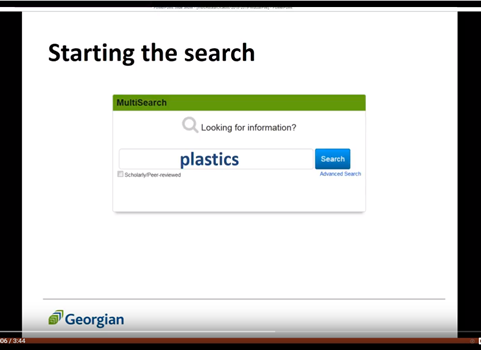 In the last video, we ended up identifying plastics, oceans, and pollution as the main keywords which we can now use in MultiSearch. Near the top of the results, notice there is a research starter on your topic. Research starters give a nice, background overview of your topic. This is also another place that you can review to find more keywords. Let's first see what books we have on our shelves. On the left hand side there is a limit box. Select Georgian books on the shelf. This limits the results to only physical books at any one of our campus libraries. Notice the book icon beside all the results. Let's say you're interested in a book. Three things you should pay attention to are: the location, the call number and the status. Now if the book happens to be located at a different campus you can request that the book be transferred here by placing a hold on it and we will email you when it arrives. The call number helps you find the actual book on the shelf. If the status says signed out or checked out that means someone else has it right now. You can optionally place a hold on that book so it can't be renewed and once it's returned, we'll email you. Books are great for helping us understand a topic at a broad level. Let's now try a different limiter. So let's take away the checkmark for Georgian books on the shelf and this time checkmark: Available books & videos. Now our results include books, e-books, DVDs and streamed video. If it's a streamed video you'll notice the status says "click online access to view" and that link is located here near the middle of the record. Videos are great for presentations or can be used as a resource. So alongside books and videos, let's try to find articles. So take away the checkmark for Available books & videos, and this time, checkmark: Available articles, books & videos. Articles are found in newspapers, magazines and journals. Articles are generally more specific and more current. Notice that there is no status or location. Instead you will typically see HTML full-text or PDF full text or check for item etc. Finally, if you need peer-reviewed articles check the checkbox for scholarly peer-reviewed as well. 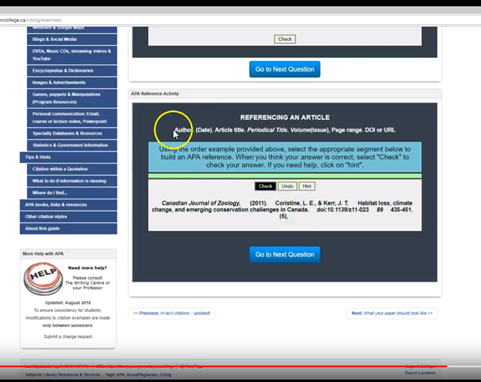 This video guides introduces you to the AND & OR operators when finding articles. Now let's modify our search to include our second keyword -- oceans. Let's remove any limits we may have had before and then type the second keyword in the next search box. Always put one idea or concept per line and connect them by AND to find more relevant results. Notice MultiSearch automatically has AND by default. Click Search and you'll notice the number of your search results has reduced. These results contain only those items that contain both keywords. For example, if I were to do a Control-F, to find the words on this page you'll notice that each of the results contains both plastics and oceans. Here's how AND works. The analogy that I like to use is Facebook. Your mutual friends list is a result of an AND operator. You have 'you', your friends, your friend and their friends -- somewhere behind the Facebook code, there is an actual AND operator that looks at both of you and outputs a list of shared friends. Same thing here -- you have a bunch of articles about plastics. Over here you have a bunch of articles about oceans. The AND operator will only output a list of articles that talk about both ideas resulting in more relevant and focused results. If the article does not talk about both, it's discarded. Now what if the perfect article never uses the word: oceans. What are the chances of finding that article? What is a synonym of oceans? Water. So to widen our net, and to try to capture those articles, we can use the OR operator. So in our second box where we already typed 'oceans', add 'OR water' where the word OR is in capital letters. Then click Search. Our results have increased, but are still relevant to our topic. Here's how OR works. MultiSearch examines the article to see if talks about oceans. If it does, it's part of the list of results. If it doesn't, MultiSearch tests to see if it talks about water. If it does, it's part of the list of results. Which means, if the article does not contain either of those concepts, it's discarded. These results will then be further refined since they need to include 'plastics' as well. Now that we have a list of relevant results, the next step, is evaluating whether or not these articles are actually useful and relevant for our assignment. 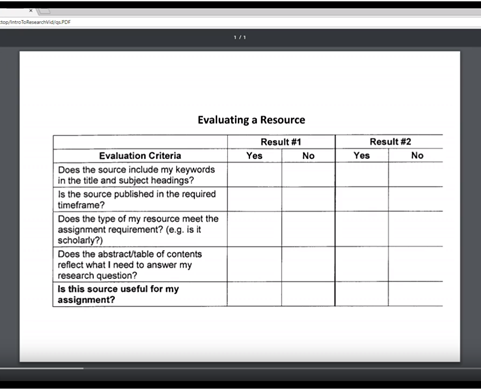 This video guides helps you evaluate whether your books and articles meet your assignment requirements. Let's say you have to write a research paper using at least one book and one scholarly article published within the last 5 years on the topic of -- does climate change contribute to extreme or severe weather conditions? Let's imagine you also searched MultiSearch using the keywords:climate change AND weather. And you found two potentially good resources. The first one in this book (Climate change:what everone needs to know). To evaluate whether or not it's good for your topic, ask yourself the following five questions. 1) Does it include my keywords in the title and subject headings? Remember we pretended to search using the keywords 'climate change' AND 'weather'. As you can see, the phrase 'climate change' does appear in the title so that's good. How about the subjects? This phrase, 'climactic changes' kind of means the same thing -- so that's good. The word 'weather' only appears in the content notes, but not the title or subjects. Is that a cause for concern? I don't think I'm too worried about that at this point. I think this resource so far looks pretty good. 2) Is this published in the required timeframe? Remember our assignment required that our sources be published within the last five years. So when was this book published? As you can see under the title, there's some information about the book, and there's the year -- 2016, so that's good. 3) Does the type of resource meet the assignment requirement? Example: is it scholarly? You can usually tell if a book is scholarly based on the publisher's name. Here it's Oxford University Press which is good -- that is a reputable scholarly name. If the publisher name isn't as obvious, sometimes you may need to look at the author's credentials to see if they have a Ph.D, for example. on this particular topic. 4) Does the abstract or the table of contents reflect what I need to answer my research question? So based on this summary, it seems like -- yes. This would be a good resource for my assignment. 5) Is this source useful for my assignment? So based all of our above questions, I think the answer is, yes. Note that what we are doing here is a lot of critical thinking and sometimes the answer may not always be so clear. For example, if an abstract is not displayed, sometimes you may need to just fetch the book yourself and browse the table of contents or skim a chapter or two to really know. Okay, let's say the second resource you found was this academic journal article (Impact of extreme weather events and climate change for health and social care systems). Let's go through the same steps to evaluate it. Here I see both my keywords 'climate change' and 'weather' appear in the title and subject, so that's really good. I see that it's published in 2017 so that meets the required timeframe. In our case, you can tell by the icon it's an academic journal. So that meets the scholarly requirement. And remember you can always click the checkbox for scholarly / peer-reviewed if in doubt. Also, feel free to ask your professor for any clarification about assignment requirements. So what's really interesting is, if you read this abstract, it talks about research on the impacts of health and social care regarding climate change which I'm immediately thinking, that seems way too specific for my needs. Right? My research question is, does climate change contribute to extreme or severe weather conditions? It's a yes or no question. Looking back at the title, it seems that this article already assumes 'yes' to my research question and is now going on to more specific things that doesn't relate to me. So I think the answer to this is -- no. Is this source useful for my assignment? I'd say based on that last question and learning more about what this article is really about, the answer is no. Click on HTML full text or PDF Full text to read the actual article. If you decide to use it, you can email, print or cite it, which I'll cover in the next video. This video teaches you a few tools for citing and guides you through APA exercises. Let's say you've clicked on an article that has PDF full-text available that you intend to use for your research. Here are three very useful tips. 1) On the right hand side is a bunch of icons, one of which is the email icon which looks like an envelope. Click it. A form pops open where you can enter your email address and on the right you'll see a drop down menu where you can select which citation format you want. Here at Georgian we use APA so ensure that is selected. Once you click on send you get the article attached as a PDF and the APA citation. How cool is that? Word of warning, I have seen this tool give the wrong information. So it's a good starting point, point but make sure you verify the information and formatting. You can use Cites and Sources or the library's APA guide as starting points. Your professor or the Writing Center can also help with tricky items. 3) if you wish to print the PDF article open it up and click on the print icon near the upper right corner within the PDF. That will print your whole article. If you mistakenly clicked on this print icon on the right hand side, that will only print your APA reference. For more practice with APA go back to the library home page, click on 'Help & Learning support', and then click on APA writing and citing guide, then on the left hand side, look for the menu item called 'Some Practice Exercises.' You will see two activities. Let me demonstrate the first one. Here, you have a matching game. What do you think this is? I think it's an author so I'll choose the appropriate response in the drop-down menu on the right. You do the same for all of these elements. Here's a tip. This title in italics is the journal title or periodical title. This number in brackets is the issue number. So go ahead and fill that out. Click on check when you're done to see if you're right and then go to the next question. The second activity when you scroll to the bottom of the page gives you a jumbled up citation and it's your job to put it in the proper order which I have given you at the top. So author comes first; so click on what you think is the author, followed by the date, etc. And notice how each time you click an element, it shows in the middle forming a citation. Once you've clicked on all the elements click on check to see if you're right and then go to the next question. So take a few minutes now and go ahead and do those exercises. You'll notice that there will be a combination of books, articles and website examples each of which may have unique elements that need to be put in order. This video shows you the required steps in order to access library databases from home. You can access the library's resources when you're not at a campus. 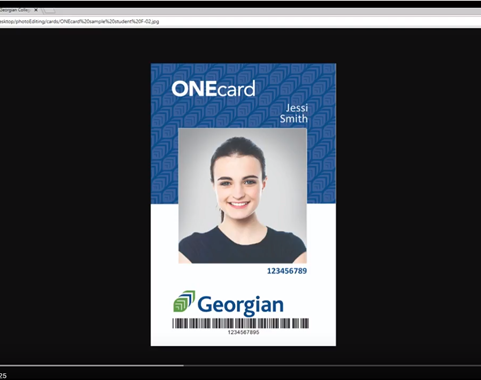 Remember to activate your OneCard which is the same thing as your library card, at the library. Go to the front, customer service desk and ask them to activate it. This will ensure you have access to MultiSearch and the library databases from home. Let's say you're now at home and you want to use MultiSearch. You will see this login screen where you'll be prompted to enter your library user ID and PIN. 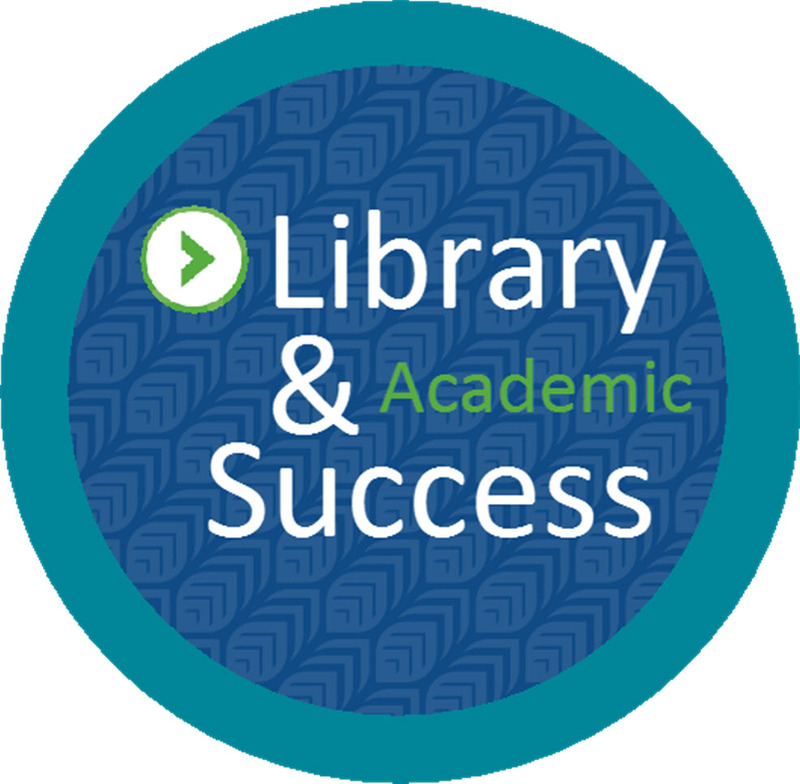 Your library user ID is the number under the barcode on your OneCard or student card. Your PIN is the last four digits of your user ID. So for example, in this sample card your user ID found underneath the barcode would be 1234567895. And your PIN number would be the last four digits of that number -- so 7895. Finally, we're here to help you so just ask. Feel free to visit us at the research help desk in the library, call us or email us or use our virtual reference chat or text service called AskON. AskON is a service where colleges from Ontario like Georgian, Seneca and Centennial are all on there and since we pretty much use all the same databases we can all help you find your books articles and other resources that you need for your next assignment.